An excellent explanation, complete with diagrams, of what happens when you run a standard SELECT query on Postgres. If you’re an end user and want to dig a little deeper, this walkthrough provides a great starting point. A practical walkthrough of tying together a number of open source technologies around Elasticsearch to provide a flexible, high performance search system for a Web site. 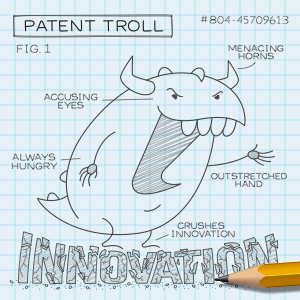 Another Patent Troll Slain. You Are Now Free To Rotate Your Smartphone. Last year patent troll Rotatable sued Rackspace, claiming they owned a patent that covered the screen rotation technology that’s standard on just about every smartphone. Rackspace, continuing their streak of fighting such frivolous claims, challenged them on behalf of the entire industry and ultimately won. Read more. SQL isn’t the most friendly of languages but it can be incredibly powerful. The amount of valuable data that lies in relational databases continues to grow, so if you’re not a developer, here’s an awesome intro to SQL. The Weather Channel found that it had to switch to a NoSQL MongoDB data store in order to more quickly develop apps and add features to its range of Internet-based weather information services. Redis is more powerful and more flexible and usually the right choice, but Memcached still has its place. Makes testing code on multiple database versions easier because they are already hosted and are available just a few clicks away. Big data applications are now commonplace but ‘dropping’ them in amongst existing IT infrastructure can be tricky and companies need to prepare appropriately. A look at how Elasticsearch handles requests, particularly when distributed across a variety of nodes.